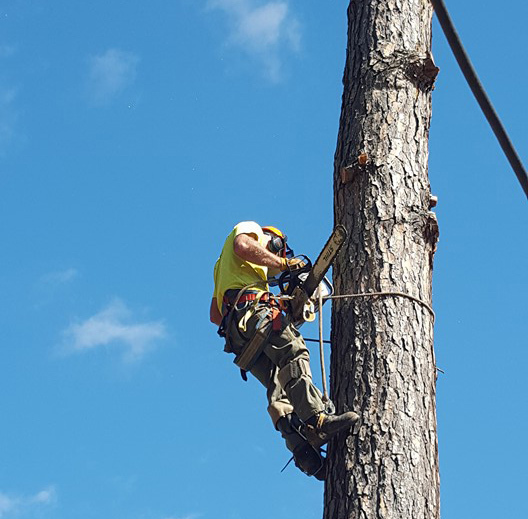 Small towns like Churchville, VA talk, and that is why tree service companies need to live up to their promises – and at Staunton Tree Service, we do just that. We know that we need to excel at what we offer, and have to back up our work with the equipment, tools, knowledge, and customer service required. Staunton Tree Service offers the Churchville area many different tree services that help to mold your yard into (or keep it) something you want to spend time in during any season. Use the form below to request a free estimate on your tree service needs in Churchville, VA.
Tree removal in Churchville, VA is generally a very simple procedure for professionals who have the right training and equipment. However, this is definitely not something that you will want to do by yourself because you could get really hurt. Plus, insurance costs are bound to go up astronomically if you hit your car or house. At Staunton Tree Service, we recommend that you give us a call if any of your trees have these warning signs for removal, or if you just want to see what your options are. Tree trimming and pruning is another thing that many people think they can do, but we often see the same results: trees that don’t grow properly, don’t produce fruit, or that die quickly. You could even invite pests and diseases into your yard. Unless you’ve been trained where to make the exact cuts on your trees, you are likely to make at least a few bad snips. You wouldn’t cut your own hair, so why would you cut your own trees? Professional tree trimming and pruning doesn’t take all that long, so it is well worth your time to call us and get a free estimate. So you’ve had a tree removed, but now what are you going to do with that unsightly stump? Stumps get in the way of other lawn maintenance, moving around your lawn, and even planting other trees. Not to mention the fact that whatever it was that kill your tree is probably still hanging around the leftovers. Don’t think about removing a stump by yourself, as that is one of the most dangerous machines to use. Leave it up to us, and you will see an automatic improvement in your yard. Tree health is critical, especially if you have fruit trees or several tall trees in your yard. If you don’t get regular checkups, by the time the problem is caught, it could have already killed the tree or spread to other plants in your yard. At Staunton Tree Service, we look at every square inch of your trees to ensure that nothing is worrisome – and if it is, we will then help you fix the problem. Churchville sees some pretty severe storms, and that isn’t anything we can really control. However, we can plan for, prepare for, and clean up after these instances. We can help with removing trees that have fallen, cabling trees to repair them, and even working BEFORE the storm to ensure that the storm damage cleanup isn’t all that much. Churchville is a small town, but that doesn’t mean that the homes here don’t deserve quality tree care. Calling up Staunton Tree Service ensures that you are going to get just that. We know that you are putting a lot of trust into us, and we don’t take that for granted. Give us a call today at (540) 886-5577 to get started.